Panoramic view of the expo floor. 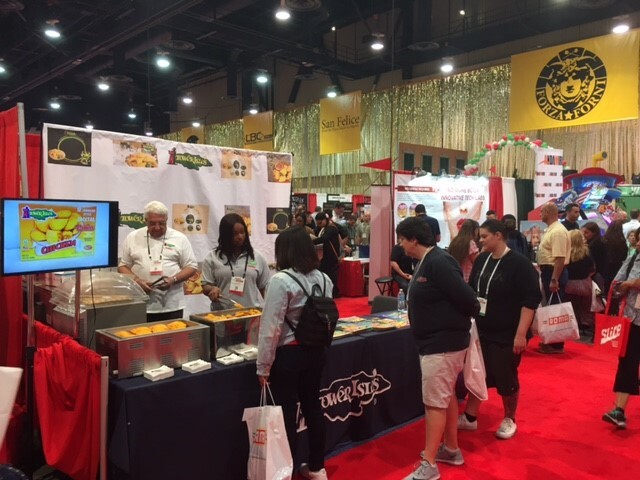 Let's talk about the International Pizza Show at the Las Vegas Convention Center. What an experience! 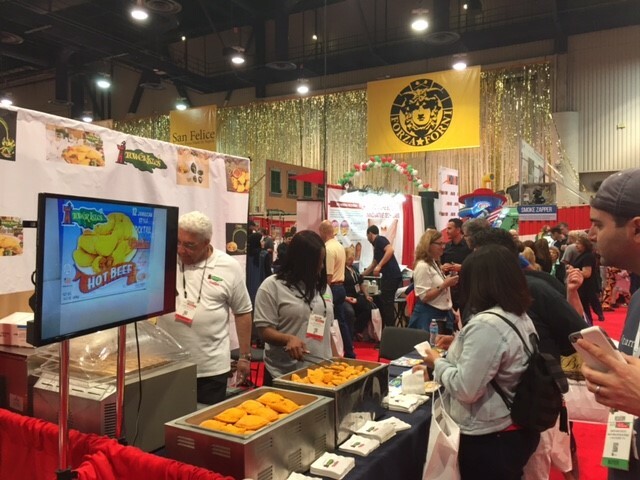 With over 1,100 booths from pizza flour suppliers, cheese and various toppings, to ovens, boxes, bags, POS systems, there was so much to see! (AND so much to taste!). There was an International Pizza Competition, Freestyle Acrobatic Dough Tossing, Fastest Dough, Largest Dough Stretch, Fastest Pizza Box Folding, and a Pizza Triathlon. The expo's energy was outstanding. 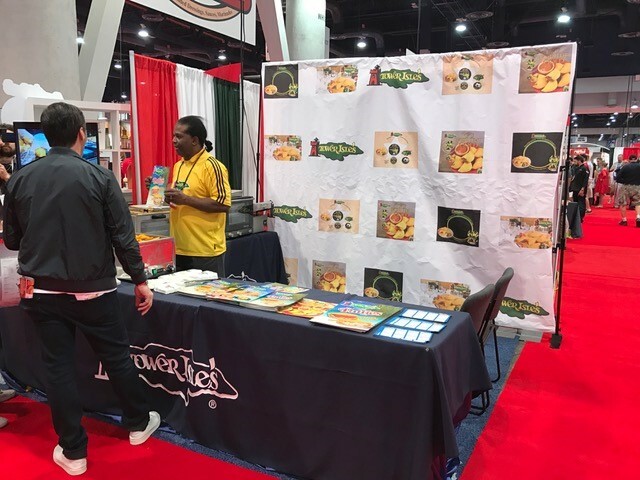 Tower Isles, like the years prior, was present at the expo. There were a number of familiar faces and a number of individuals who were familiar with us. It felt good to know that our brand and our products were recognized and loved on sight. Original Jamaican Style Patties on display. "Ohhh! I love your patties! You gotta get them out here!" "I used to eat these growing up in Brooklyn." "I've been selling your product for years." Quick glimpse of our table display. 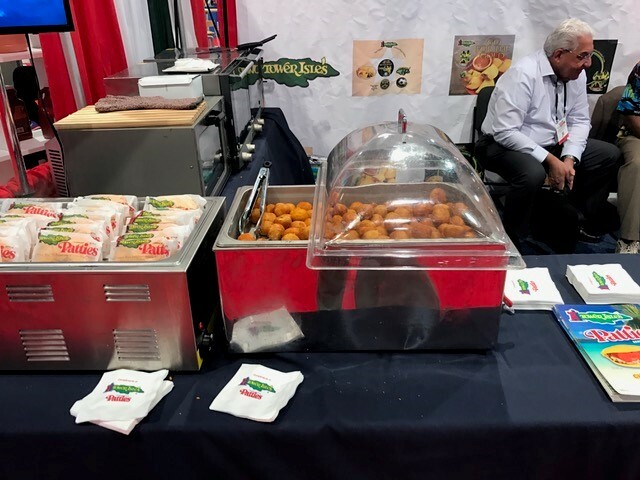 The Original Jamaican Style Patties (Mild Beef) and our mini potato balls with beef. Close up of our mini potato balls with beef. Looks good, right? 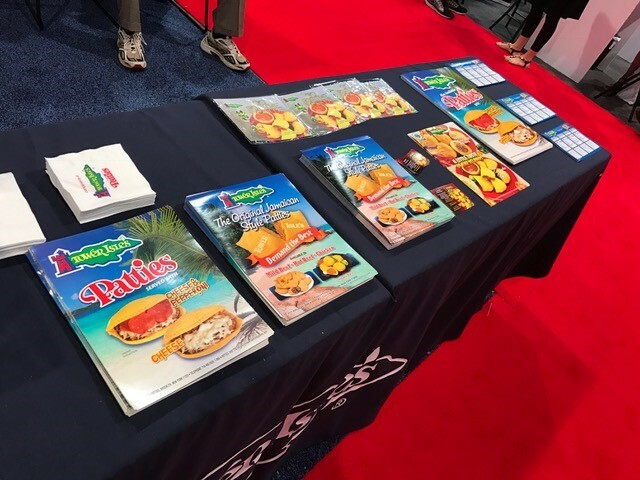 The show included samples of everything you could think of: pizza crust, cookies, juices, beer, soda, pasta, pasta sauce, sandwiches, cold cuts/deli meat, toppings, wine, gelato, Tower Isles Jamaican Beef Patties, everything you might come across at a pizzeria. There was even vegan dairy free pizza. The amount of traffic the show generated created a successful event. The three day show needed all three days to get to everything.